URIAH HEEP had been one of my favourite bands since I was a kid and even before knowing what Prog is, so the day I bought "Demons & Wizards" got pretty sad, being that with Byron and Thain dead, there was no chance of getting more material from the golden era of this fantastic band. 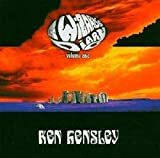 Some weeks ago a friend came from London with KEN HENSLEY'S "The Wizards Diary" as a gift, I thanked her, lest the album in a drawer and we went to eat something and have a drink, after years of HEEP albums I didn't care about, forgot about it. But a few days ago opened the drawer, read the song list and got interested, so took the CD to the car and went to work while playing it...............What a pleasant surprise!, fresh new versions of old HEEP classics....What else could I ask. The first real surprise is in the vocals, Ken does an outstanding job (being he's not really a vocalist), if we add that he's impeccable with the keyboards and specially with the good old Hammond (in which he's the real wizard), the guy is one of the classic era musicians who hasn't lost the touch. It's almost impossible to recreate the magical sound of the band during the best years, the addition of competent Russian musicians and Russia's Presidential Symphony Orchestra in several tracks makes a good substitute. "The Wizards Diary" is a great album from start to end, but as usual there are some tracks that impressed me more. For example "Sweet Freedom" where he tortures the Hammond to the point of making it bleed magical sounds, and that's not all Mister Igor (Nice to meet you) Kozhin makes a fantastic guitar performance to complement the band. Even when he's not Byron, the orchestral version of the famous epic "July Morning" is out of this world but the greatest surprise is "The Wizard" (One of my less favourite tracks) that sounds even better than it originally did. If there's something I always loved of Easy Livin' is the vocal work, and believe me, this version has almost nothing to envy from the original, even the chorus (One of the strongest features of URIAH HEEP) are very solid, and the organ in the back is the cherry on the top of the pie. On this case I won't review all the tracks as I usually do because they are well known, but even the ones I don't mention are pretty good, I can honestly say there's not a weak moment. This is an album ideal for old Heepers like me, who want to recreate magical moments of the youth but at the same time listen music that sounds fresh; and also for new generations who will have the chance to listen material that doesn't sound like "retro Prog" (A term vastly used but which I dislike). Would love to give a perfect rating to "The Wizards Diary", but despite the different an fresh sound, URIAH HEEP songs can only be perfect when played by URIAH HEEP, so four stars is OK for me. It was perhaps a good idea from Ken to revive some Heep oldies. The major problem is that most of the songs featured here are second tiers. I'm not talking of course about some enormous and remarkable songs from the great Heep. There are three of those ones featured: a superb dynamite "Easy Livin", a great rendition of "Circle Of Hands" and one of the best version available (even if on the short end) of one of the greatest, and one of my top five Heep by all means: "July Morning" of course. I'm quite happy as well with the excellent version of "Sweet Freedom" featured here, but that's about it for this album. "Stealin", "Rain" or "Lady In Black" were never favourites of mine. Neither the original, or live or "reworked" in the studio like on this album. Dear Ken would have been inspired to reconsider "Look At Yourself" or the great "Love Machine", not to tal about "Sunrise" or "Magician's Birthday". But instead, we'll get some poor AOR rendition of average Heep songs. I am a Heep fan from the early hour and I have been in contact with most of the great man's work in solo, but I really can't be enthusiastic about this album. I don't really like this album, and I'm only rating it with three stars thanks to the awesome tracks I have mentioned. Unlike it is titled here, on Ken's official web-site, there is no reference of a "Vol. 1" which could lead to the feel that a "Vol 2" could be expected". Acsording to the CD´s booklet the idea of re-recording some of Uriah Heep´s classics came from Eugene Kultonov from at Sony Music in Moscow. Hensley then visit the studio facilities there and found it good enough to record there with the help of russian musicians and the Presidential Symphony Orchestra. It may sound a little opportunistic, doesn´t it? But, what the hell, what UH fan would not like to see some classics done by the author himself? So I was curious enough to buy it. And, like anyone else here that heard the record, I got mixed feelings about it. The selection is a sensitive point. Everybody would like to see different ones chosen. The surprises here are the inclusion of such obscure tracks like Illusion and Feelings. The latter sounds quite different in the vocal lines. ON the other hand the inclusion of a song like rain is quite odd, since it had been recorded twice already, with UH and on his first solo album. The new version differs little from both, making it quite unnecessary to say the least. But I was glad he included the forgotten gem Sweet Freedon, one of his most beautiful and soulful tunes. Like the classic July Morning (also covered, of course), the new recording does not change much and miracously keep the orignal feeling and magic. Even the backing vocals seemed to be careful arranged to duplicate the originals. Conclusion: a nice selection, most of them quite faithful to the originals and with a superb production. You judge. For me it was a good efford. The few exceptions did not supass the old ones, but only Stealin´was really bad. teh recording of some less known trakcs was a nice idea and I hope that next time (the title of this CD leads us to expect at least one more sequel, doesn´t it?) he wil do it again. Valid, well worth the efford, but not really essential. Final rating something between 3 and 3,5 stars. 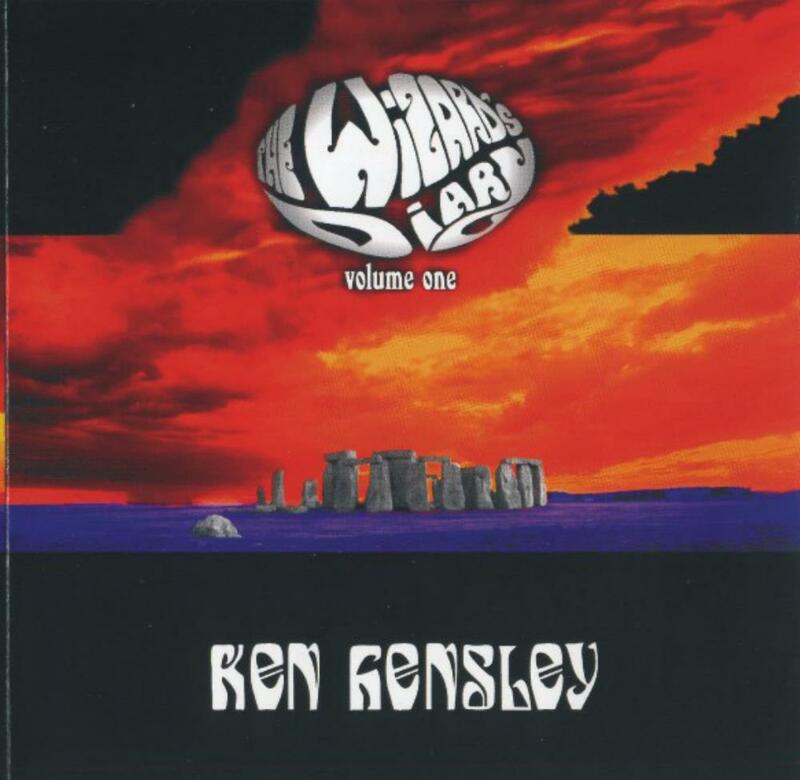 Post a review of KEN HENSLEY "The Wizard's Diary - Vol. One"